The battle fought on the south muir of the town on 17th January 1746 was the last Jacobite triumph on the battlefield and the last time the famous Highland charge swept the clansmen to victory. Bonnie Prince Charlie's attempt to march on London had ground to a halt in Derby and the subsequent retreat harried all the way by Government troops had demoralized and depleted his army. Arriving in the Falkirk area from Glasgow in the first days of 1746, the man in effective command of the Jacobites, Lord George Murray spotted a opportunity to deliver a counter blow against the pursuing Government forces. General Henry Hawley in command of nearly nine thousand men had made camp in Falkirk on land to the west of the town where Hope Street now runs down towards the present Dollar Park. The Jacobite commanders besieging Stirling Castle decided that a carefully planned attack might rout the redcoats and begin a revival in the fortunes of their luckless Prince. moved from Pleanin a southward circle across the rivers Carron and Bonny towards the south muir of Falkirk. By late afternoon they were closing in on the high ground above the town. In the Jacobite ranks were were eight thousand men, highland infantry from all the major clans supported by cavalry of the lowland Jacobite gentry. The Earl of Kilmarnock husband of Lady Ann Livingston then resident in Callendar House was 'out with the rebels' and his Falkirk tenants were with him . The most singular and extraordinary combat immediately followed. The Highlanders, stretched on the ground, thrust their dirks into the bellies of the horses. Some seized the riders by their clothes, dragged them down, and stabbed them with their dirks; several, again, used their pistols, but few of them had sufficient space to handle their swords .... The resistance of the Highlanders was so incredibly obstinate that the English, after having been for some time engaged pell-mell with them in their ranks were at length repulsed and forced to retire. It was a ferocious clash with the highlanders on the right wing-charging hard downhill towards their fleeing enemy. On the other side of the line the clansmen met much stiffer resistance and the ravine which separated then from the enemy prevented a straightforward charge. Many fled westwards away from the battlefield and thought they had lost. However, although confusion reigned for a time, the overall outcome was a near complete Jacobite victory. Government forces fled in disarray from the town, setting fire to their tents and abandoning great quantities of equipment. Later in the day three columns of highland soldiers entered through the town ports - Lord George Murray by Roberts Wynd, Lord John Drummond by the Cow Wynd and Cameron of Lochiel by the West Port. A century later the event was commemorated in the beautiful stained glass windows of South Bantaskine House on whose land the battle was fought. Now appropriately enough they grace the new shopping centre not far from the point where the Prince's soldiers entered the town and where he spent several nights in the 'great lodging', the former home of Livingston of Westquarter, now Ottakers Bookshop. Casualties were high among the redcoats with between three and four hundred killed and many more taken prisoner. The Jacobite losses were less, some say as few as forty men. As with the other battle centuries before, great pits were dug the following day and the naked bodies, stripped bare in the night by the country people or victorious clansmen, were laid to rest. A little copse beside Dumyat Drive is thought to mark one of these places and another lay close to the present High Station. 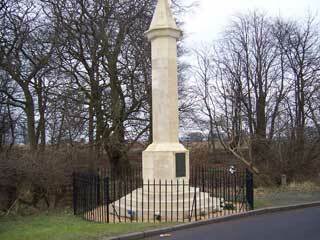 Several prominent people were buried in the Falkirk churchyard including Colonel Robert Munro and his brother Dr Obsdale Munro cut down by the Camerons in the rout after brave resistance, and the young officer William Edmonstone of Cambuswallace. The Church itself along with the tolbooth and the cellars of Callendar House were used to hold the prisoners. Little depredation took place in the town and an old tradition suggests that the highlanders found the product of the ale and porter brewery founded sixteen years before very much to their liking! To add to the disagreeableness of our situation from the horror of the scene, the wind and the rain were full in our faces. but the horrid spectacle I had witnessed was for a long time, fresh in my mind. 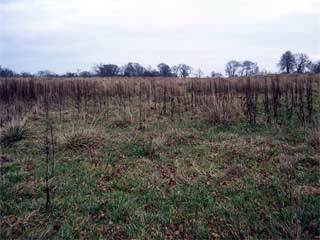 Only once more would British soil witness such carnage and that just three months later on Drumossie Moor at Culloden. 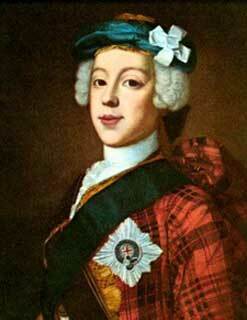 On that day Lord Kilmarnock was taken, as the Jacobite cause perished. In August he was beheaded on Towerhill in London. But what of the first battle of Falkirk in 1298 I hear you cry, well there's arguments about where exactly the site is. There is a long tradition in the district that the battle was fought in and around the Grahamston area, perhaps a mile north of the town centre. Certainly our Victorian ancestors were quite happy to accept this version, hence they gave local streets names like Campfield, Wallace, Bute and Stewart and marked the maps accordingly. However a site to the north of the town doesn't fit too well with what we know of the movements of troops and the topography of the battlefield. 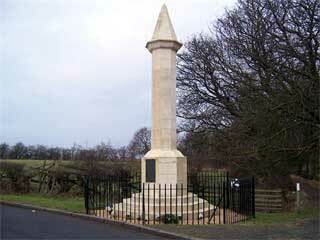 We know that the Scots were drawn up on sloping ground with the town of Falkirk behind them. We also know that the two armies were separated by a water course of some kind or possible a piece of swampy ground. This helps us narrow the range of suitable candidates. Current favourite site is Mumrills to the east of Laurieston with the Scots army drawn up on the on the slopes just opposite the Beancross Restaurant. In front of them to the east is the Westquarter Burn. Another site which finds favour with quite a few observers is on the road from Redding to Hallglen around Woodend Farm with the Scots and English placed on either side of the Glen and, once again, the Westquarter Burns. Polmont Hill where the ski slope is located is another candidate and one author writing a life of Wallace places the battle much further to the south not far from Avonbridge with the Avon separating the armies. 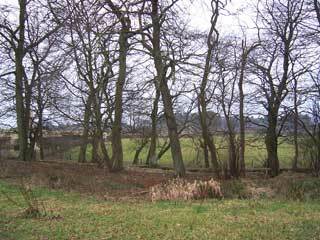 These are only three of many; others include Bells Meadow, Wallacestone and Grangemouth. Unless we are very lucky and somebody turns up a huge stack of bones somewhere then we will probably never know. However, there would be a down side to such a discovery - it would deprive us all of our favourite sport, that is, thinking up new possibilities and arguing about them!